Bring the pain with this leather wrapped grip cane. 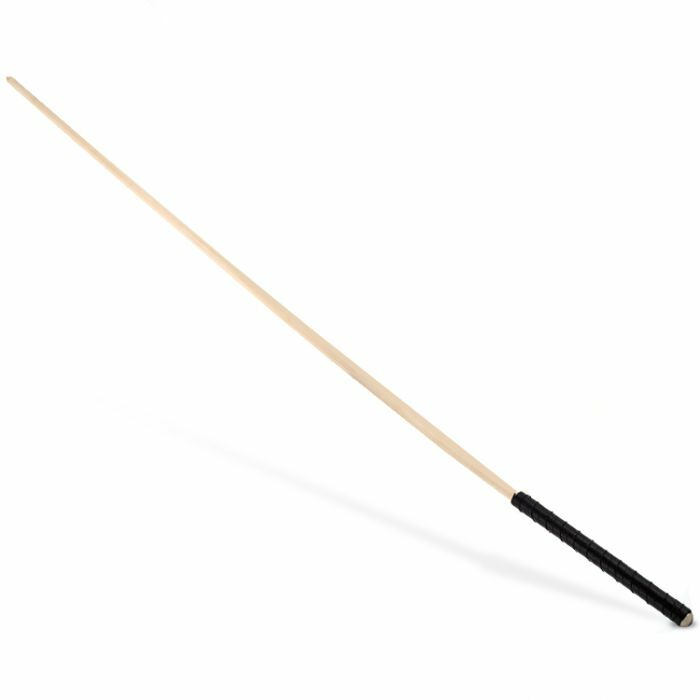 If you’re after a serious caning with impact toys specifically designed for heavy duty play then reach for the P.M. Body Leather 85cm Cane with Leather Grip. This beast of a bamboo cane was built to play hard and will certainly leave the thick bright red welts you’re after. The long and slender bamboo cane shaft cuts through the air like a knife with a glorious swishy noise as it seeks out its target with precision. The flexibility of this cane means you can dial in the impact with not much effort at all. Because this cane is made from natural bamboo material it can dry out and become brittle. To care for your new weapon of arse destruction soak your cane in the bath for about 10 minutes then use a bit of kitchen roll with a drop of oil and rub it into the grain of the wood. Do this about twice a year and this will keep your bamboo cane in tip top condition for long lasting lashings.